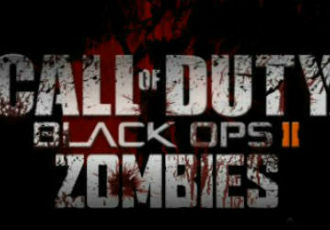 Black Ops II had the most successful launch of any game in history and has zombies. 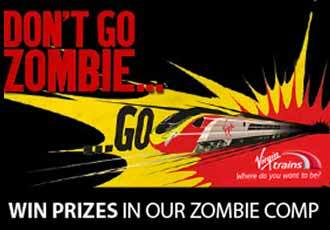 We have teamed up with Virgin Trains’ ‘Don’t Go Zombie’ Google Street View game to offer readers the chance to win £100 Amazon voucher. 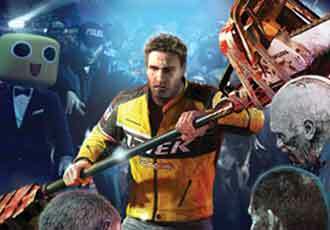 Win Capcom's latest zombie game, Dead Rising 2, by simply telling us what your ultimate combo weapon would be. 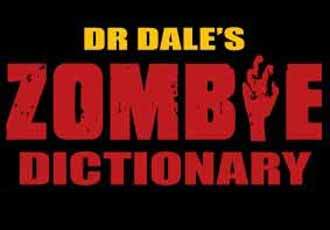 How to Survive a Zombie Apocalypse's head honcho, Dr. Dale, has released an A - Z guide for staying alive in a zombocalypse. Halloween resurrected undead passions when Donna Mills and Stephen Craddock joined Clare Walsh and Steven Curtis in double zombie matrimony today in Manchester. 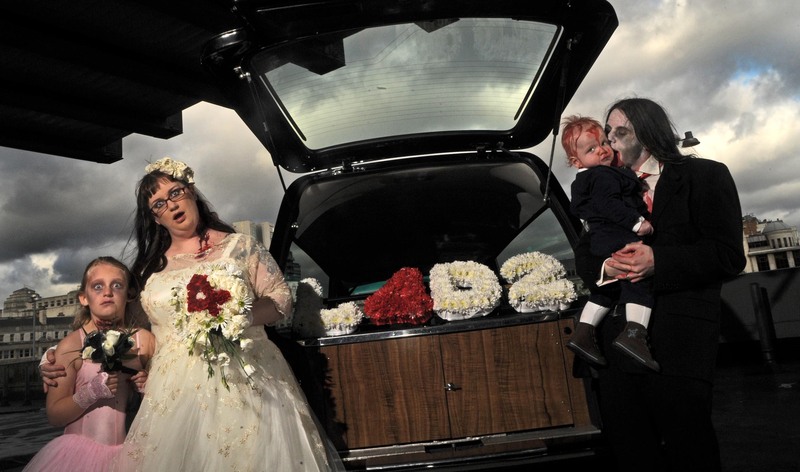 In scenes reminiscent of the aftermath of a zombie apocalypse in the highly anticipated Left 4 Dead 2 video game, Mr and Mrs Craddock and Mr and Mrs Curtis emerged from the ceremony to be met by their undead congregation and a hearse carrying a L4D2 wreath. 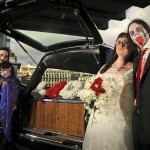 The ‘Just Infected’ hearse transported the ‘newly-wed-undead’ to their afterlife. 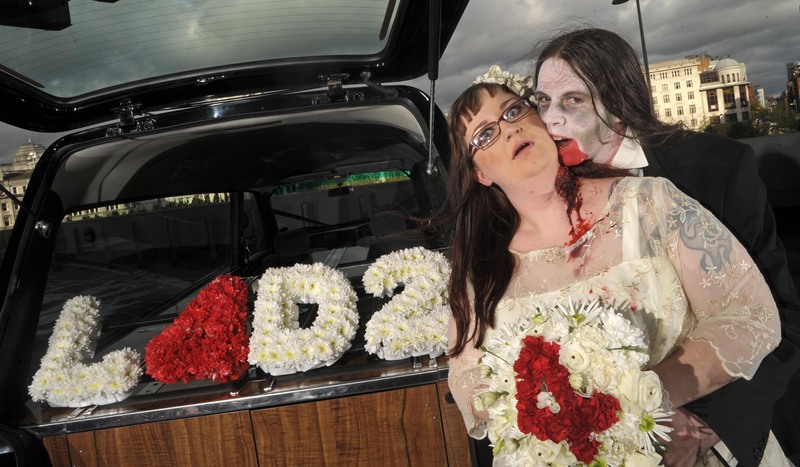 To further cement their union, the couple’s vows were blessed in front of 4,000 zombie well wishers at The Printworks, Manchester. 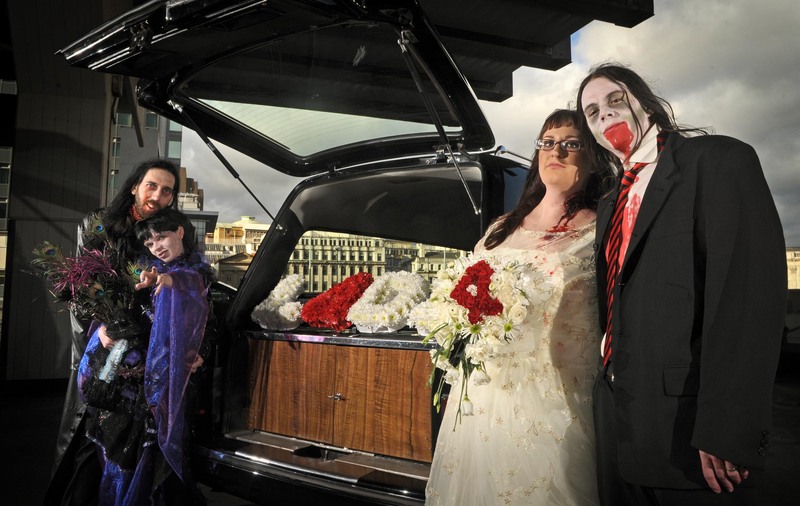 The undead celebrations didn’t stop there, as the couples joined with their congregation to participate in the UK’s largest zombie parade (Zombieaid 2), culminating in the annual Zombie Ball at the Hellfire Club, Manchester. 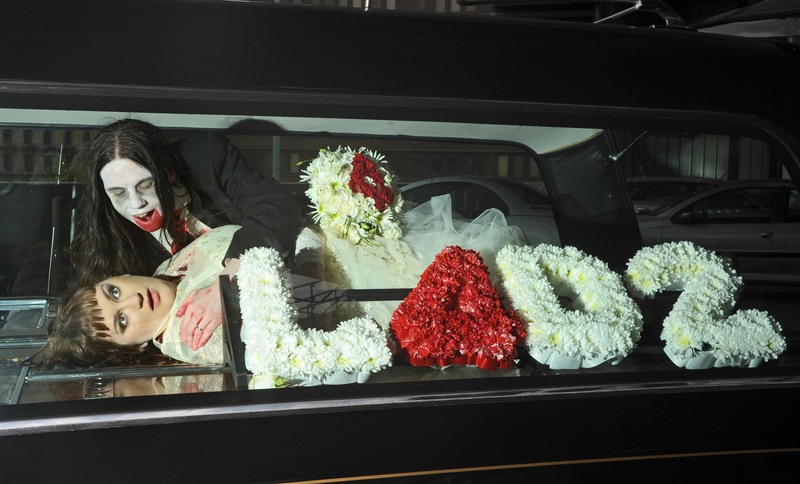 The couples now plan to ‘zombie-moon’, in New Orleans, where the outbreak of L4D2 started, courtesy of Left 4 Dead 2. Apart from being a horribly pun filled (nay, stuffed) press release, it seems that these couples managed to score a pretty unique wedding and a free trip to New Orleans out of EA. 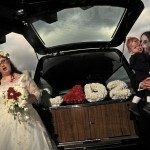 Wonder if they had a zombie wedding cake though? Update – Donna (the bride in white) was kind enough to get in touch and point out some inaccuracies in the release as it was only her and Stephen who were involved in the L4D part of the wedding and their deal with EA Games. Click to embiggen the pics below. Saving you from the Zombocalypse one post at a time. Follow us on Twitter, join us on Facebook or download our iPhone App (opens in iTunes). Discuss this on the forums or even write for us! these pictures look fantastic, i’m the bride in cream and i havent seen these yet :D found them on an accidental google search! Where can I find that wedding cake topper? My fiance and I are HUGE zombie fans and have been looking all over for a toper like this. Anyone? 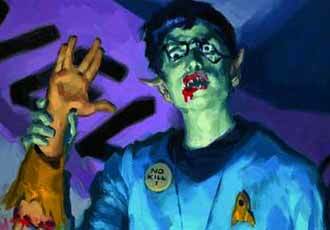 When do you head to New Orleans, have you anticipated the zombie outbreak happening while you’re there? Akiruu on Will It Kill A Zombie?